Todd is vice president of global communications at Logitech in California’s Silicon Valley. She will speak and receive the Young Alumnus Achievement Award on campus Thursday, October 26. Krista (Wierzbicki) Todd will receive the Young Alumnus Achievement Award at 6:00 p.m. on Thursday, October 26 in Bulger Hall South. 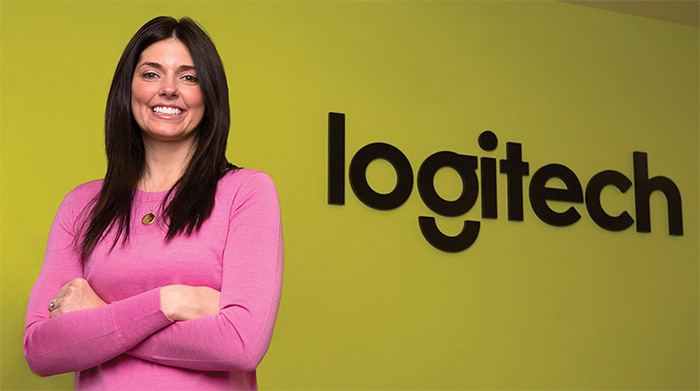 She is a graduate of the public communications program and current vice president of global communications at Logitech, a personal computer and mobile accessories company with headquarters in California’s Silicon Valley. Todd oversees communications efforts in 45 countries and manages corporate communications, public relations, social media, and employee communications for the Swiss-owned tech giant. Porsha Ari Coaxum, ’11 — a graduate of the journalism program and a master’s student of public relations — will moderate a conversation with Todd about launching a communications career, navigating the consumer-tech industry, and managing your personal/professional brand. The event will include an audience question-and-answer session, and will be followed by a reception in the Bulger Lobby. Both are free and open to the public, but advanced registration for the Krista Todd talk and reception is encouraged.